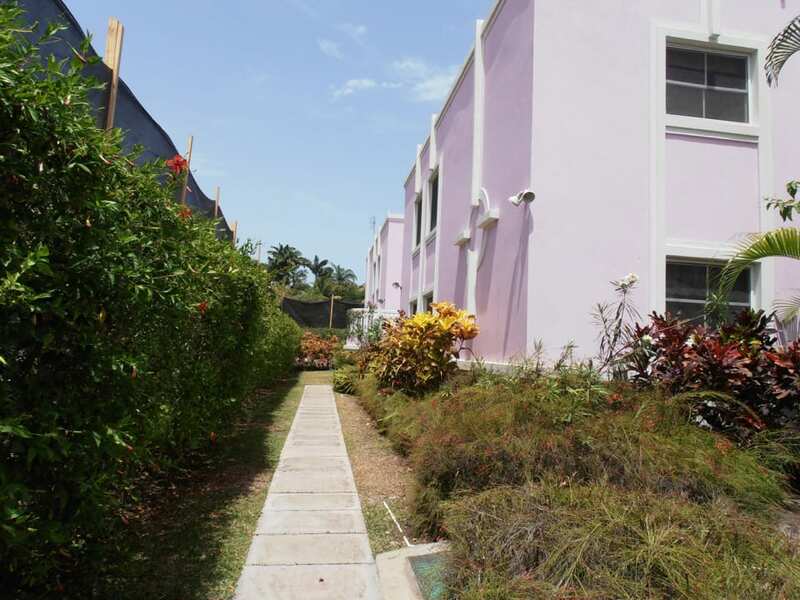 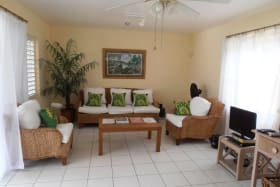 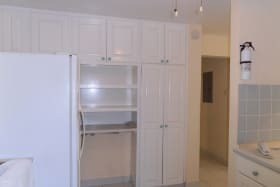 Attractive and spacious, furnished 2-bed/2-bath condo/ 1/2 block from Barbados beautiful Dover Beach and St. Lawrence Gap Amenities. 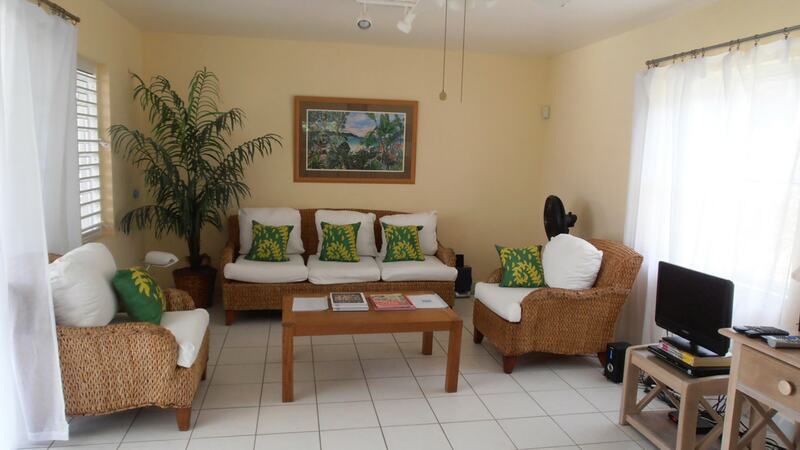 Ground floor, leads onto garden and swimming pool. 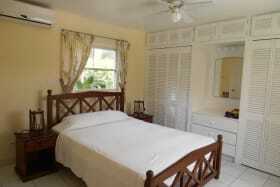 Suitable for long or short stays - great value. 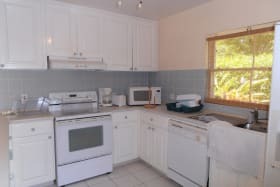 This attracive 2/bed 2/bath apartment is priced to sell - great location on a quiet street half block from Barbados' beautiful Dover Beach/St Lawrence Gap.. 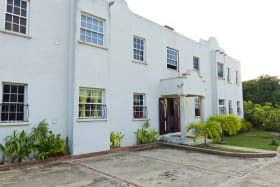 This single level apartment comprises an open-plan living/dining room, two spacious bedrooms and two bathrooms - one en suite. 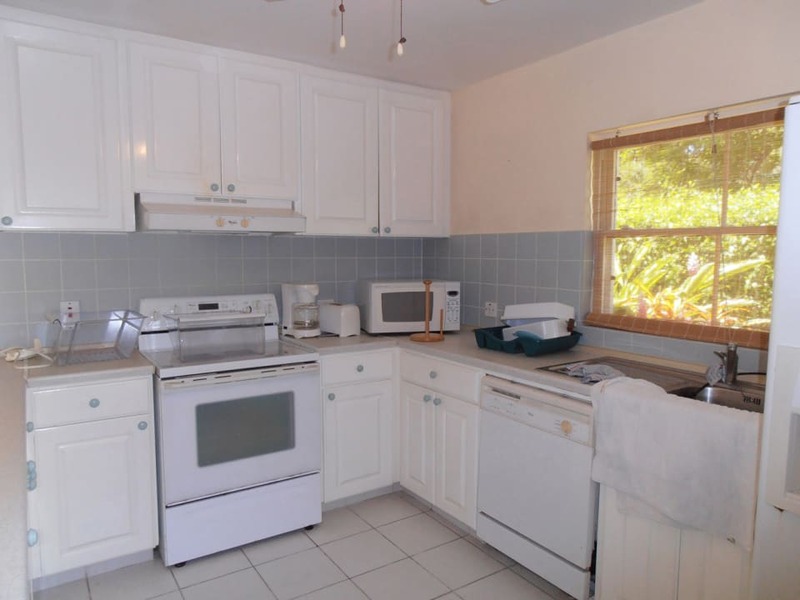 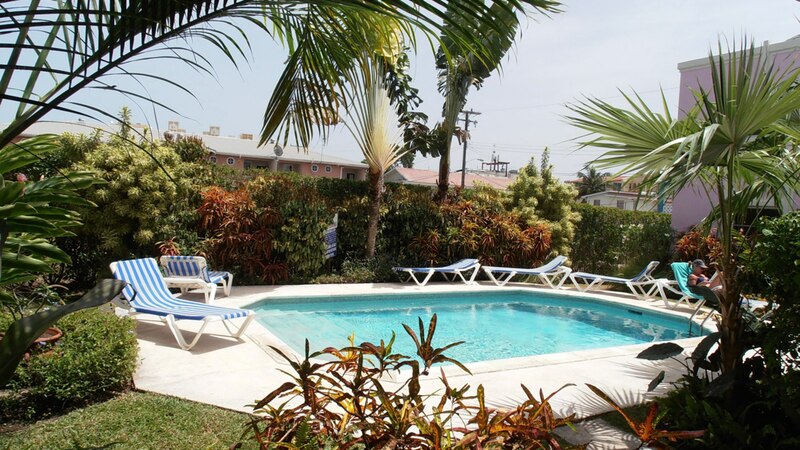 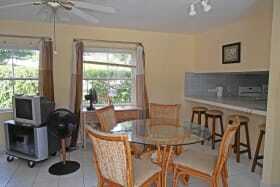 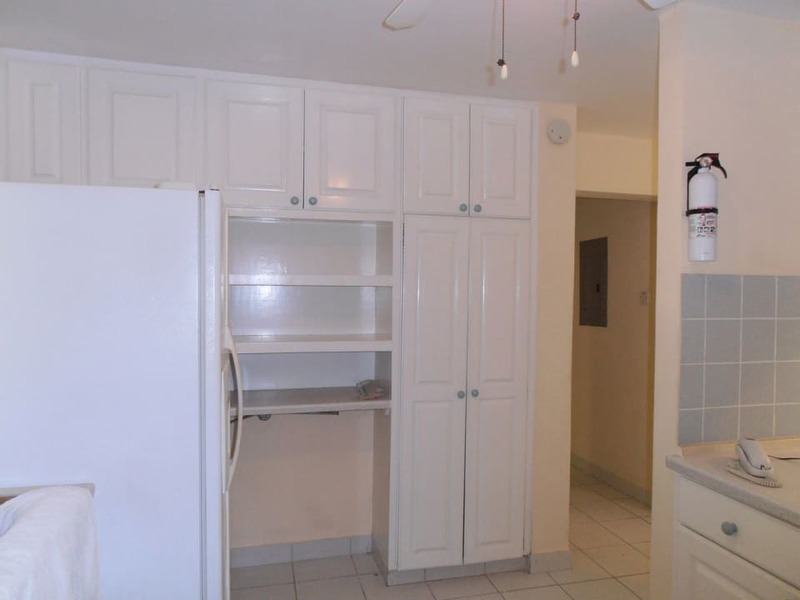 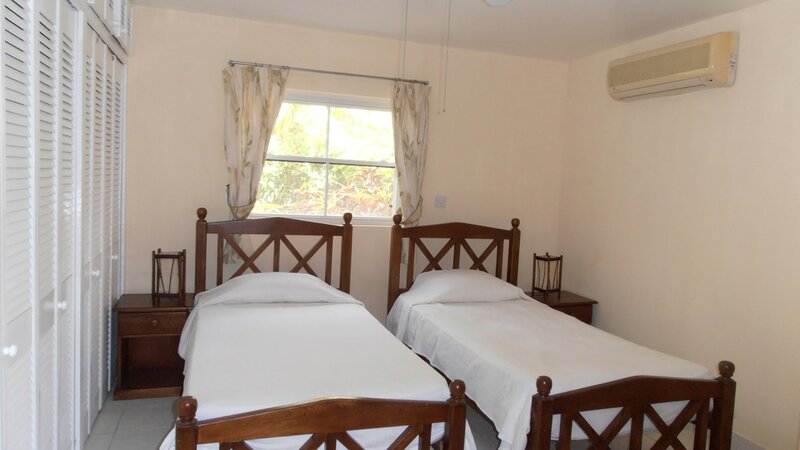 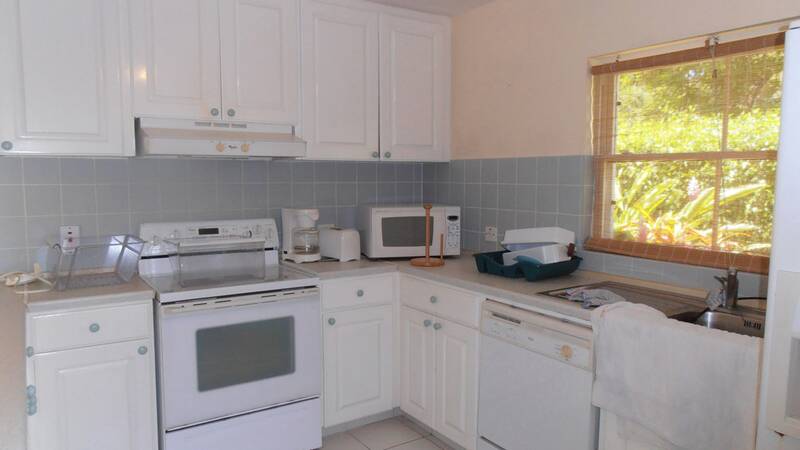 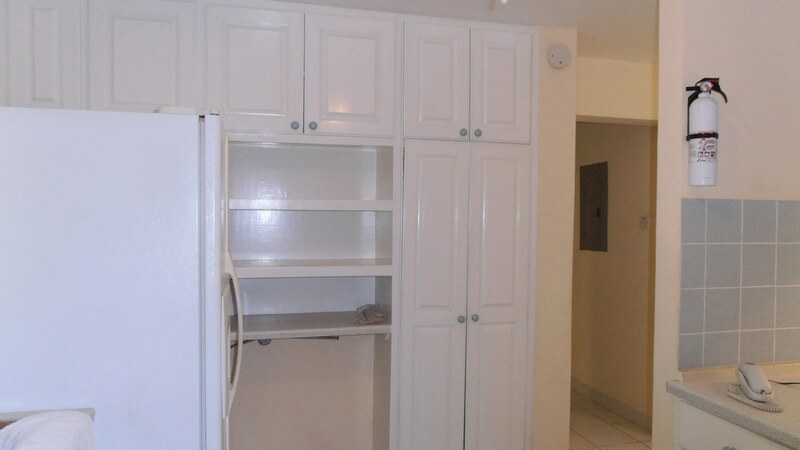 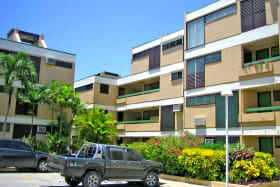 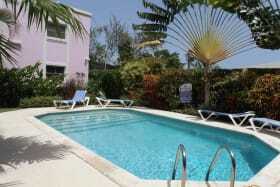 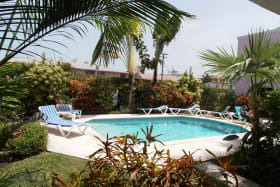 The apartment comes furnished and has a full sized kitchen and pool/gardenside patio. 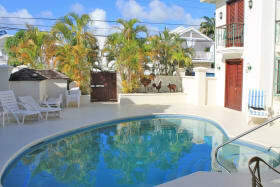 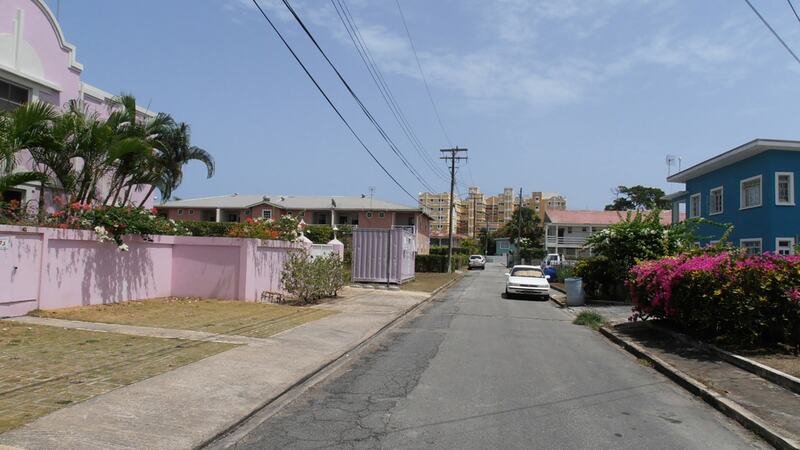 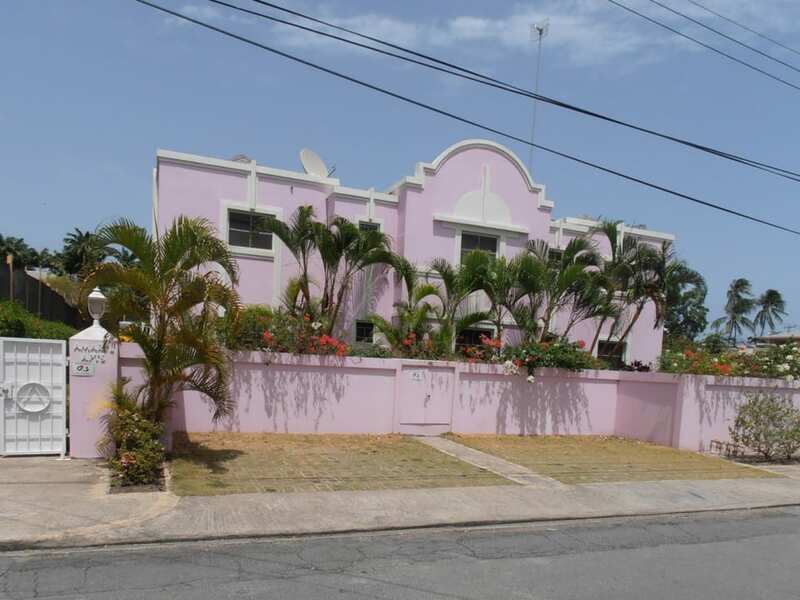 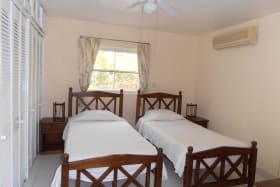 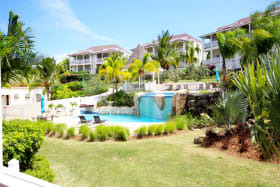 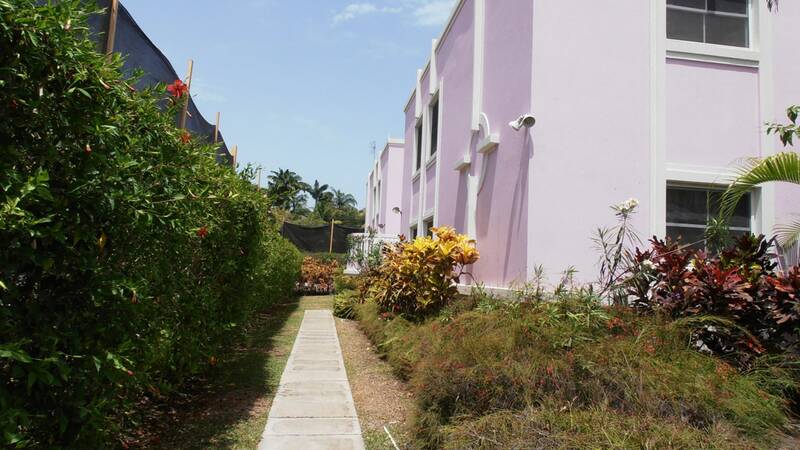 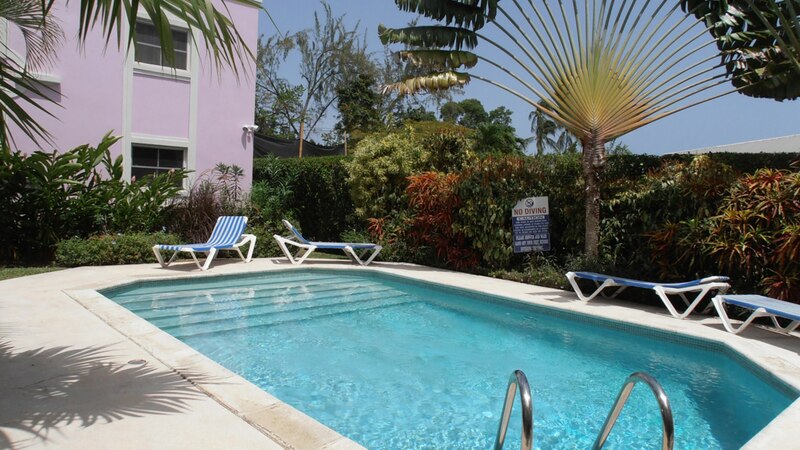 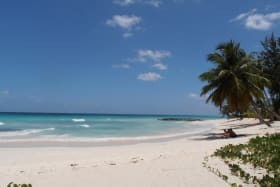 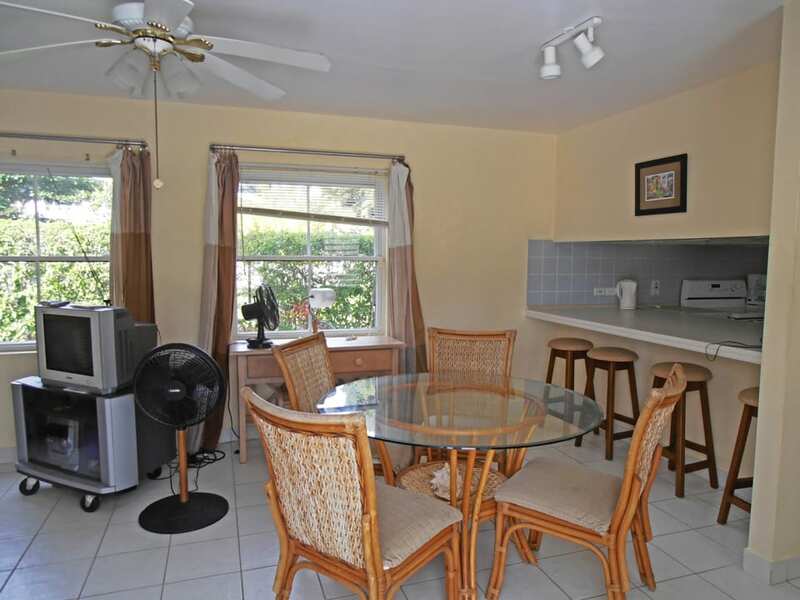 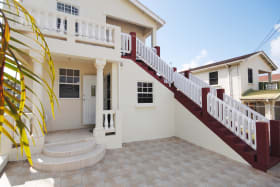 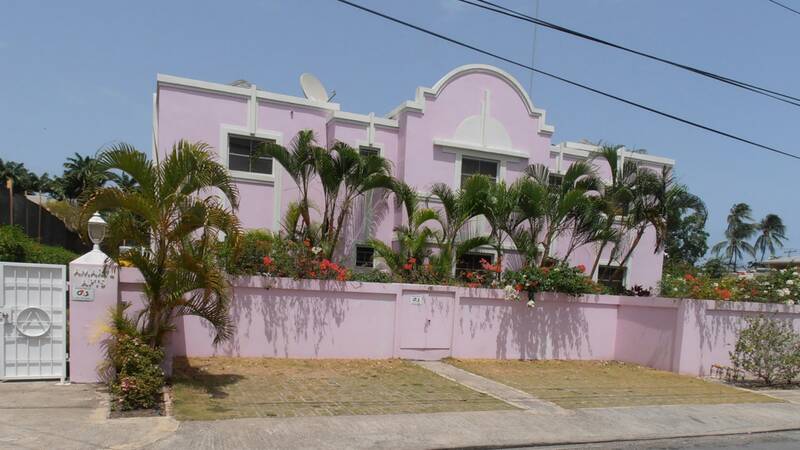 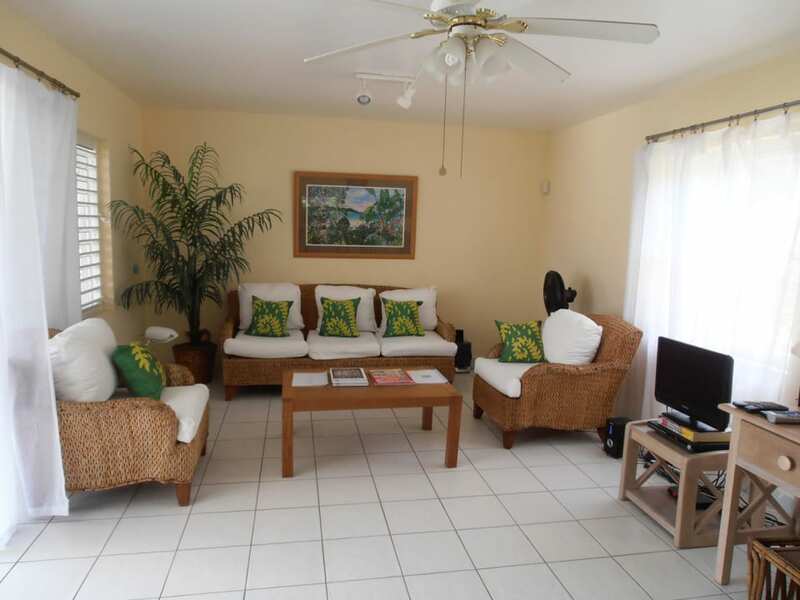 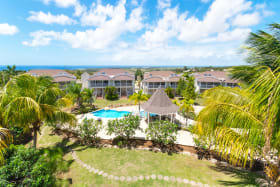 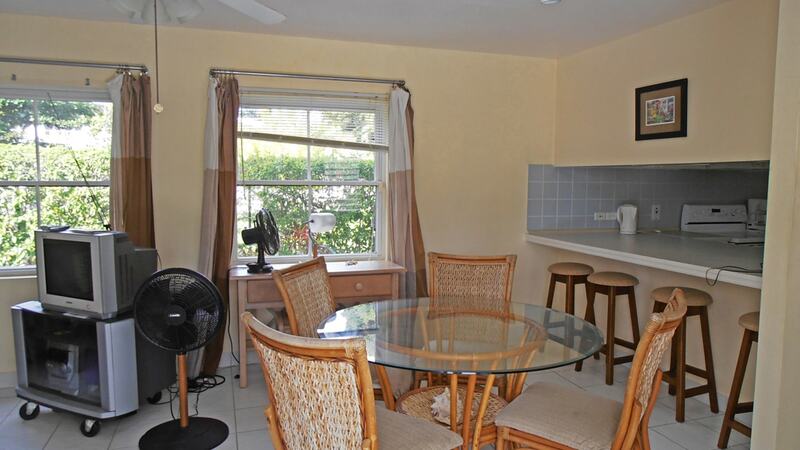 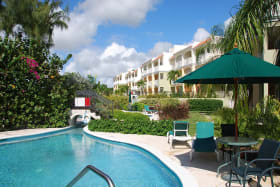 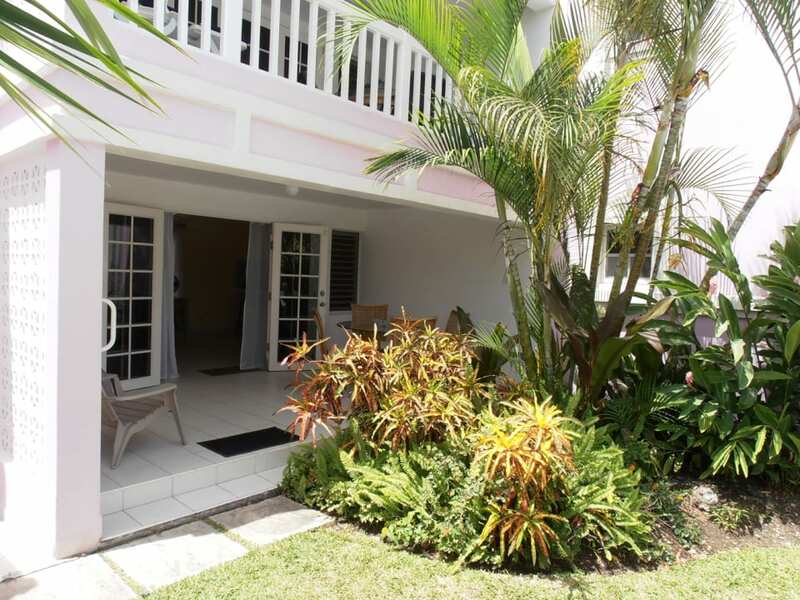 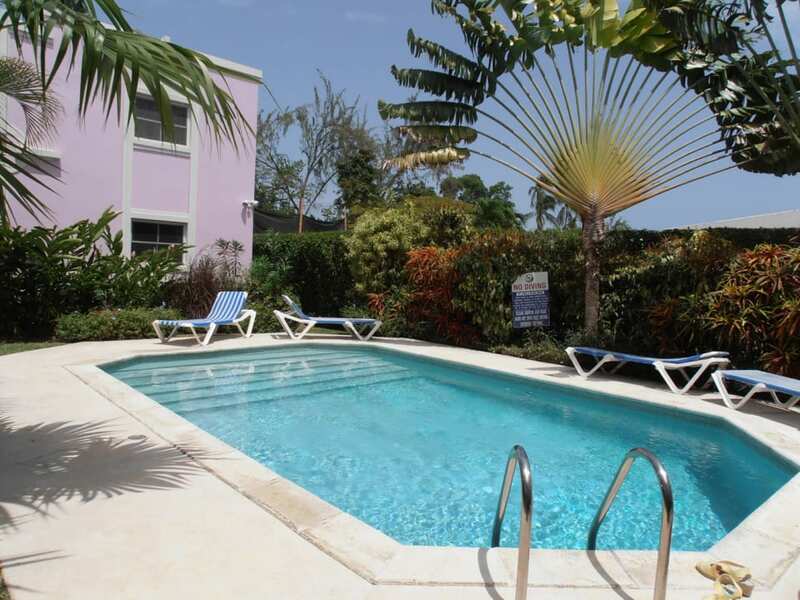 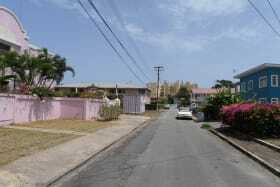 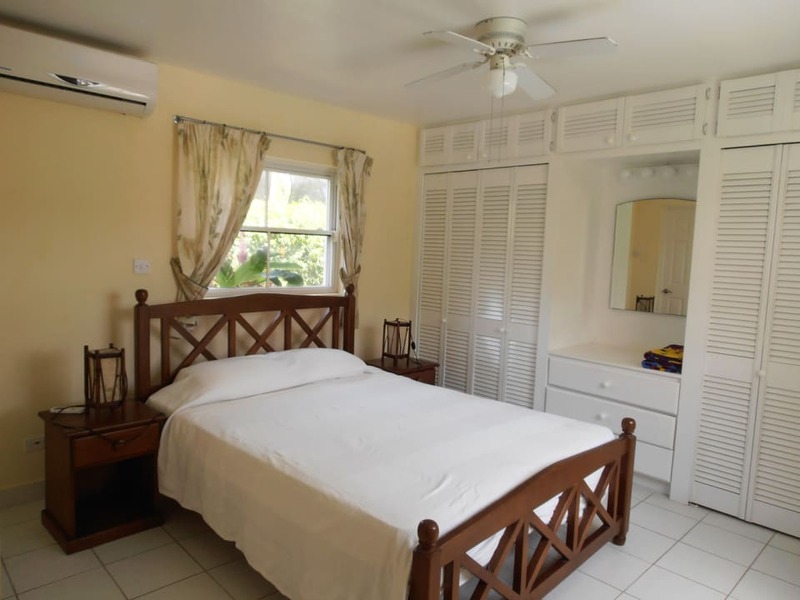 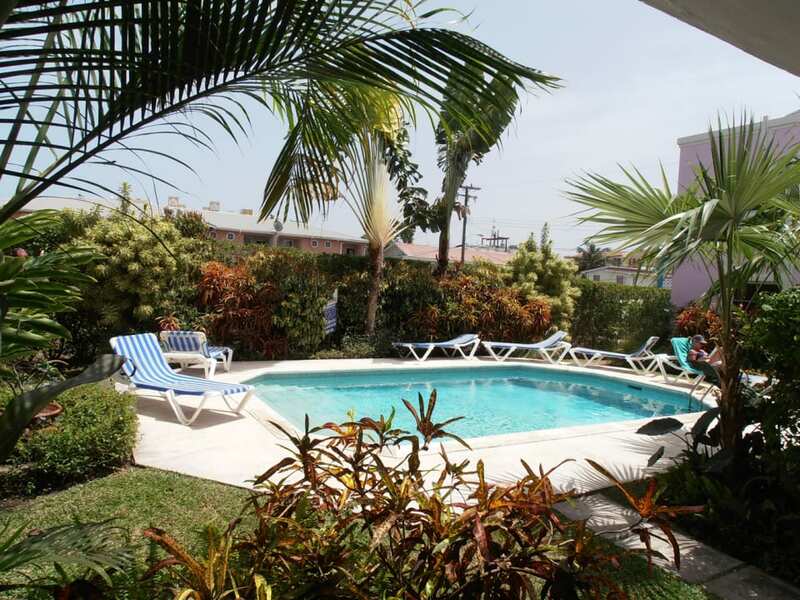 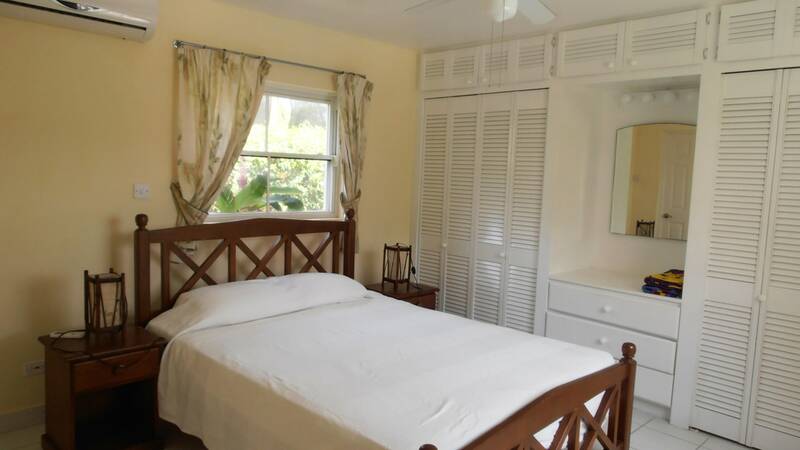 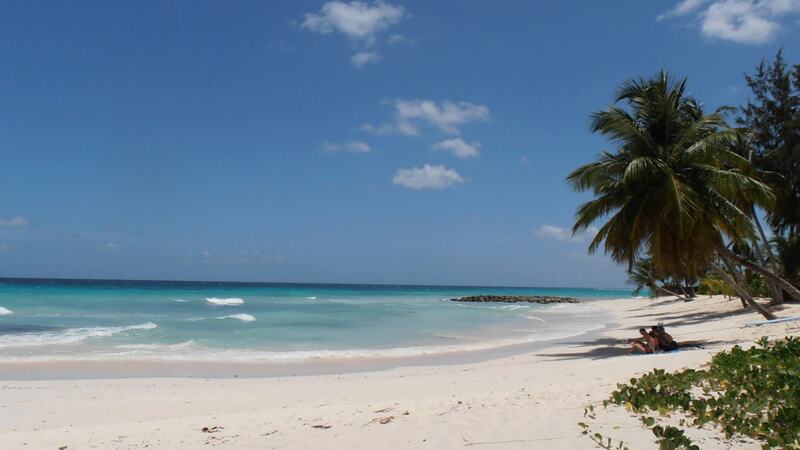 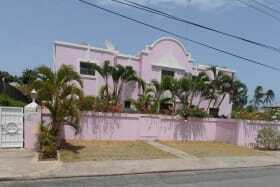 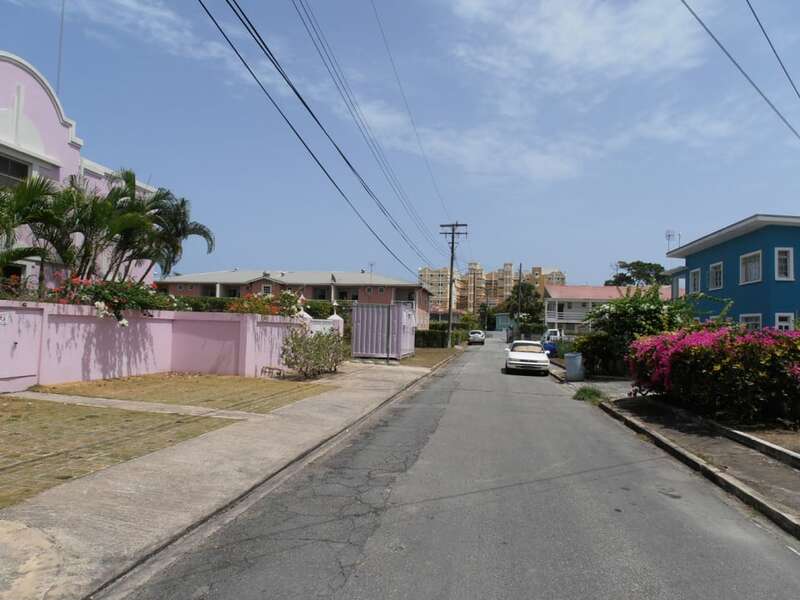 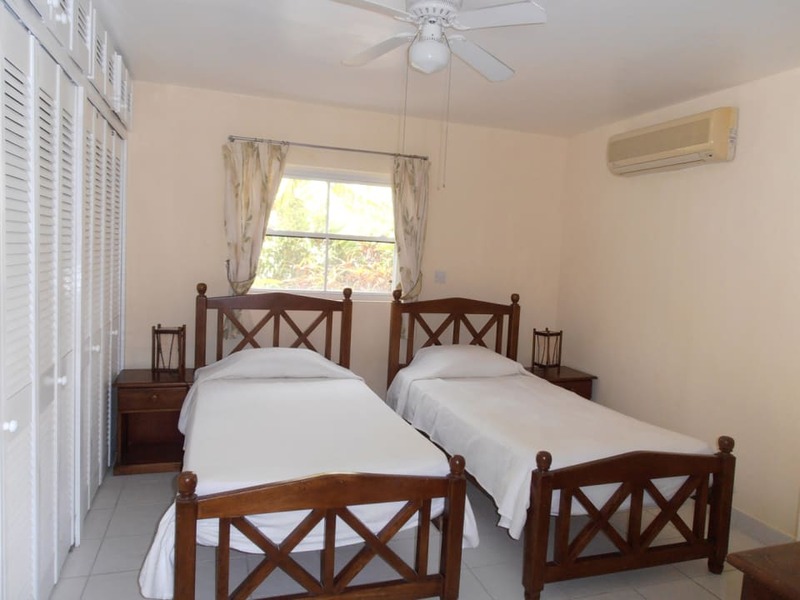 Located with immediate proximity to excellent Barbados beaches, shopping and restaurants and lends itself to Barbados holiday rentals as well as to quiet longer term living. 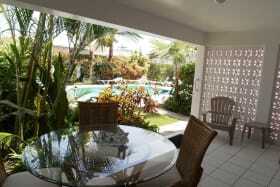 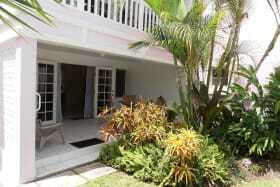 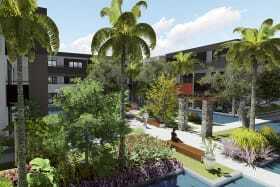 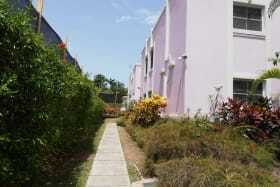 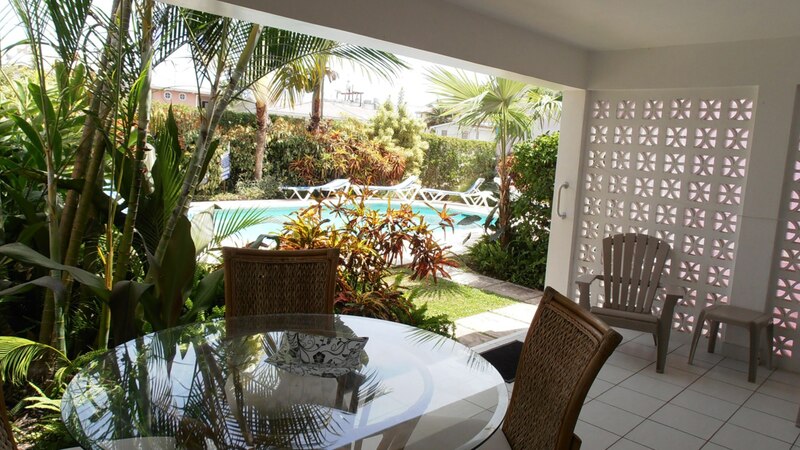 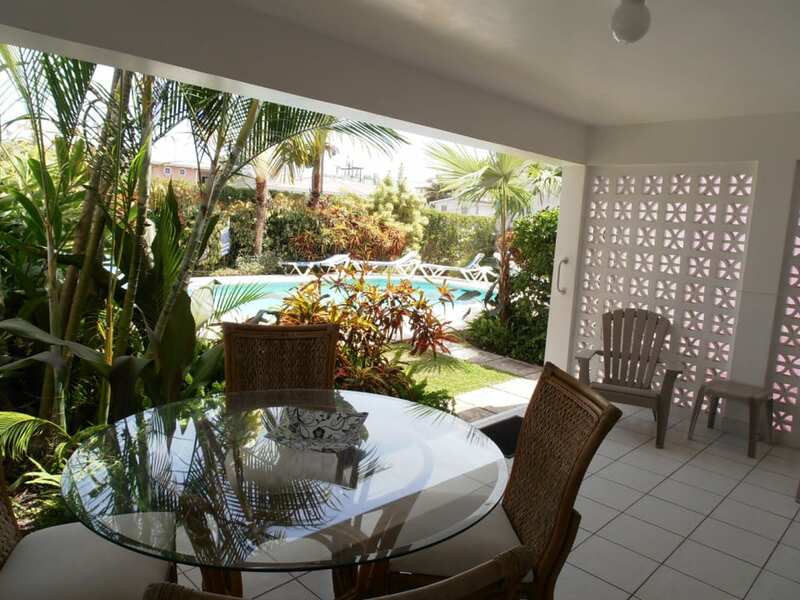 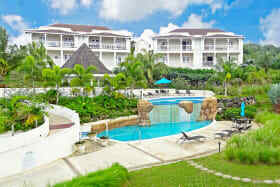 The entrance patio is spacious and leads directly to the shared pool and well landscaped tropical gardens. 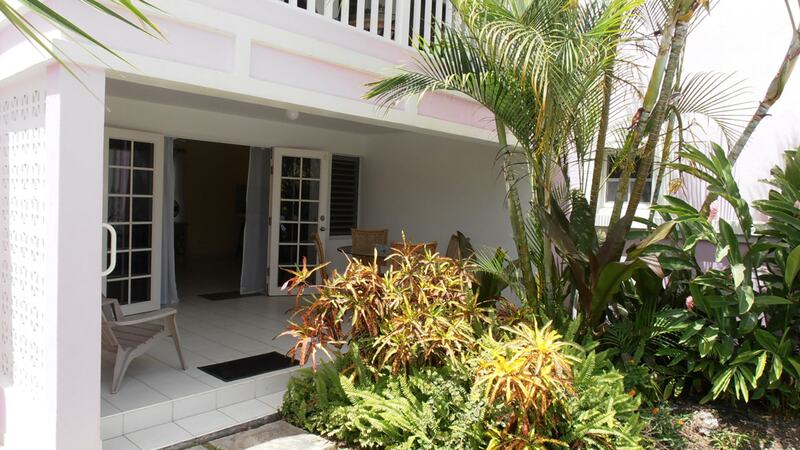 Excellent value - recently reduced.